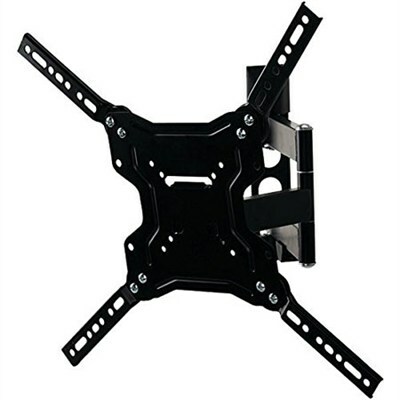 The Stanley TMX-104FM Full Motion TV Mount fits 23" - 55" TVs. Features include full swivel, tilt and level correction. For TVs weighing up to 60 lbs. Easy ability to adjust tilt without complicated tools or screws. Features several state of the art safety and security features. High performance for an affordable price. TV Size: 23" ? 55"